I’m extremely late to the party on the appreciation of Salopian Brewery’s beers. So late in fact, that when reading up about them as research for this post, I came across Mark Dredge’s post about how late to the party he was, over a year ago. In which case, I might be saying a lot of things that a lot of you already know. Perhaps not, though. Perhaps Salopian have been on your radar for a fairly long time too, and the opportunities to try their beers have been few and far between, if at all. 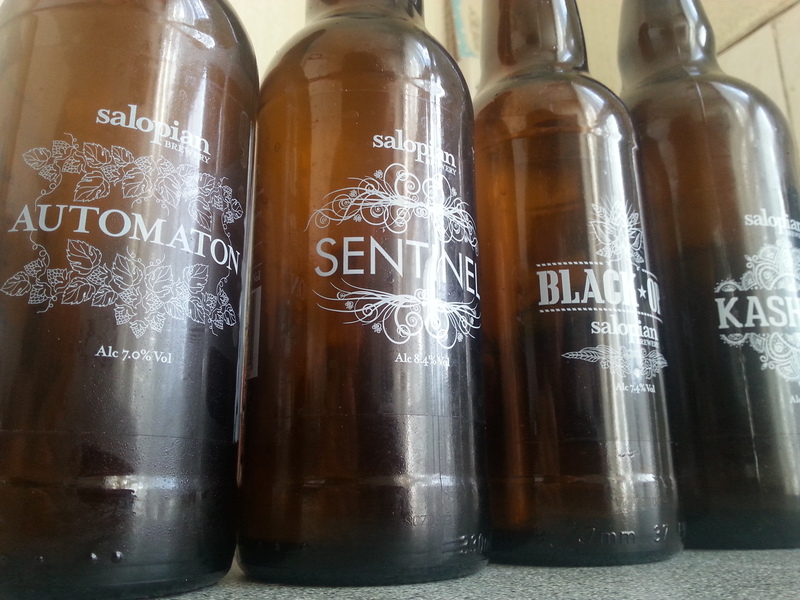 It was GBBF that finally got me a taste of Salopian’s beers, though not initially in the normal way. Darwin’s Origin, their best bitter, won Silver in the Champion Beer of Britain competition, and Hop Twister, Lemon Dream and Shropshire Gold were also available, unprecedented (in my short memory of GBBF) for a brewery without its own bar. Unprecedented perhaps, but telling. In reply to someone else’s tweet about how good their beers tasted, I said that I’d missed out on them on Tuesday’s trade session, and assumed that by my return on Saturday, they would be gone, as most of the award winners tend to be. I was then contacted by Jake at Salopian, who kindly offered to send me some beers to try, as, in his words, he’s keen for people to see what they can do. As it happened, I did manage to get a taste of Hop Twister at GBBF’s Saturday session, and I was duly impressed. Pithy, tangy citrus and juicy too, on a light and crispy body reminiscent of Jaipur or Kipling, with conditioning many of the beers around it at GBBF sadly lacked. When the box from Salopian arrived, I was stunned by the range of beers being produced. Aside from the, shall we say, more conventionally labelled core beers like Oracle and Darwin’s Origin, a squadron of minimalist, silver printed bottles made up the numbers. Names like ‘Kashmir, ‘Kinetic’, ‘Automaton’ and ‘Black Ops’ spoke of several shades of IPAs, noting the hops used but little else about them. I would have preferred a little more blurb, if only a few words to say the intended style or twist on it, but the sense of mystery certainly did make me want to open them. Automaton, a 7% IPA hopped with the unlikely odd couple pairing of Citra and Saaz, was like a magic trick. Pulped grapefruit and mango soak the palate one second, then disappears with a peppery dryness the very next. That juiciness I seek in hoppy pale ales was present in every one of Salopian’s pale ales and IPAs, even the black ones. I was impressed perhaps most of all though by the simple elegance of core pale ale Oracle, which had a glorious peach and melon flavour to it, in a 4% pale ale whose label couldn’t look more traditional. If you’re lucky enough to find these beers near you, do not hesitate. It got me thinking about how we judge beers not just by flavour, appearance and if it lives up to its reputation, but also by whether we were surprised by it. Some of the beers and breweries that have impressed me the most have been one that completely wrong-footed me. The fact that Salopian’s beers are less easily available in London contributes to this somewhat, but I don’t think they should remain this elusive. Far from it. 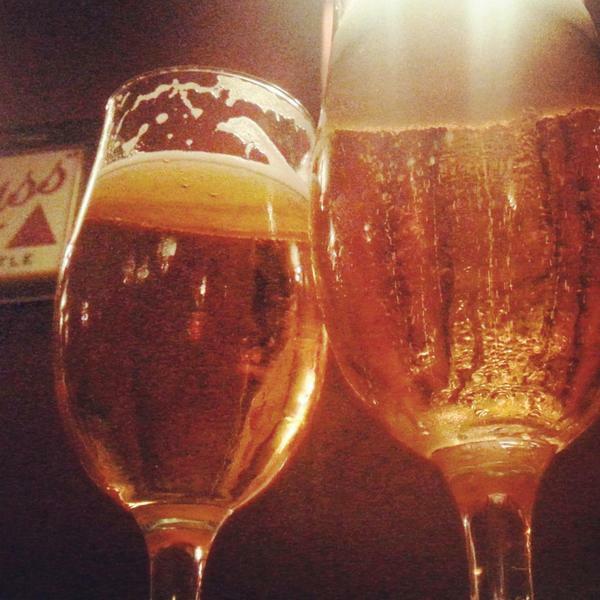 I want as many people as possible to be disarmed by the simple brilliance of their beers. I count Salopian in the most important category of breweries: those that simply are a craft brewery, without needing to say so. 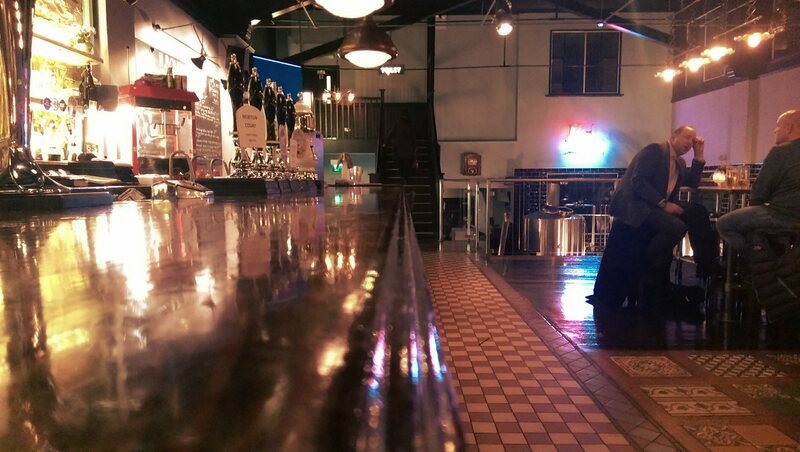 Do you have a favourite brewery that aren’t that far away and yet you hardly ever seem to see their beers where you live? These beers were sent to me by Salopian out of generosity, not in exchange for a blog post, which was written purely on the strength (or rather the quality) of the beers.